Long-Term, High Performance – Does PRP have a role? In the world of men’s professional tennis, the performance bar has been raised, and this French Open will show us just how high it now sits. Details of how the top men prepare are tough to come by, but what is clear is that all the stars are spending more time on fitness work or injury prevention, sometimes at the expense of hitting balls. They also experiment, looking for an edge in performance, recovery or injury prevention.Djokovic cut gluten from his diet last year to combat allergies and had an explosive season.He has also made occasional use of a device called the CVAC pod: a chamber that, reportedly, simulates altitude changes and can aid in recovery and increase the oxygen-carrying capacity of blood. The Spanish Davis Cup team sometimes travels with a portable oxygen tent that Nadal, David Ferrer and others have used to try to improve recovery. Nadal has used platelet-rich plasma therapy over the last three years to help resolve chronic knee pain. The use of platelet rich plasma therapy as an on-going recovery or maintenance therapy is an interesting application. 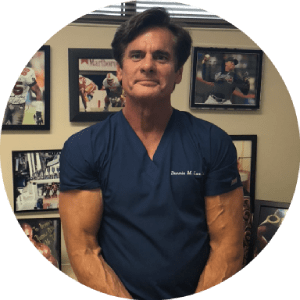 The value of platelet rich plasma or PRP is the concentration of the body’s own healing factors, which can then be injected into an inflamed (over-stressed) or injured area. Simple inflammation due to over stress should heal given a normal recovery regimen of rest, ice and anti-inflammatory medications. But ‘normal’ does not work when one is at the elite, professional level of performance. Platelet rich plasma can supercharge the healing process, reducing recovery time, and returning the player to a peak training level more quickly.Also, PRP does not violate anyof the World Anti-Doping Agency codes. Regenerative medicine techniques, such as platelet-rich plasma and stem cell technology, have been used for an extended period by many athletes. Both procedures are growing in popularity among professional athletes, as well as “weekend warriors” and others suffering with chronic musculoskeletal injuries. The ability to achieve rapid healing in an athlete is one of the courses of sports medicine treatment.Controlling the early phases of inflammation and improving rehabilitation time is paramount.With chronic injuries, if one can use a regenerative technique that will not require invasive surgery – which would ultimately lead to more long-term degeneration – that is looked upon as a desirable outcome, not only from an athletic standpoint but also from the layman’s prospective.